On these flights you can choose from our range of Seats to Suit, with the option of low Smart Saver fares or fully refundable Flexi fares. You can book different fares for each part of your journey. 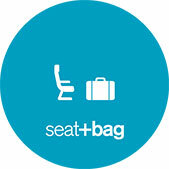 If you're travelling with others, each person can choose a Seat, Seat + Bag or The Works fare and you can still be seated together. All Island fares are eligible for Airpoints Dollars™ and Status Points, unless booked in N or F class (grabaseat™ Greenlight fares) or purchased with Airpoints Dollars. Each fare has a different earning rate. For details see our Airpoints™ calculator. To book a Flexi fare online, simply select the option to make your flights flexible from the list of extras. Most Premium cabin class fares are already Flexi fares, but sometimes there are discounted 'Business or Premium Economy' fares that are non-refundable and come with the Smart Saver rules. Smart Saver fares are non-refundable, whereas Flexi fares are fully refundable - except for bookings over the December to January period to or from Samoa, Rarotonga, Tonga and Niue, where a NZD $200 cancellation fee per person will apply. If you buy a Smart Saver fare and later upgrade it to a Flexi fare, only the upgrade portion will be eligible for a refund. Both Smart Saver and Flexi fares let you change your flights right up until departure. You'll have to pay any fare difference and a service fee if not changing online. For Smart Saver fares there's a booking change fee of NZD $100 per person (infants excluded), unless you're upgrading to Premium Economy or Business Premier on the same flight, same day. There's no booking change fee for Flexi fares. If you don't show up in time for your flight, with a Smart Saver fare that sector of your journey will be cancelled with no refund. With a Flexi fare however, a no show is fully refundable except for travel to Samoa, Rarotonga, Tonga and Niue during December and January, when a 50% no show penalty applies. Everyone has different priorities when they travel. We provide a choice of Seats to Suit on our Island flights, so you don't have to pay for things that aren't important to you. Perfect if you’re travelling light or heading off on a short trip. Take a little more than carry-on, without paying for things you don’t need. The freedom to relax with a bite to eat and something fun to watch. Get more space to relax, a neighbour free guarantee and a host of deluxe extras. Airpoints Gold and Elite members can take an additional carry-on bag (up to 7kg) with any of the Seats to Suit products. 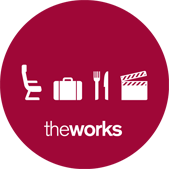 Airpoints Gold, Elite and Koru members can take an additional checked bag (up to 23kg) with Seat + Bag, The Works and Works Deluxe products. If you choose to pay by credit card, a card payment fee of NZD $6 (per person one way) for Pacific bookings, NZD $12 (per person one way) to Bali and NZD $17.50 (per person one way) to Honolulu will be added to your booking. To avoid paying this fee you can pay by, Air NZ Travelcard or POLi.